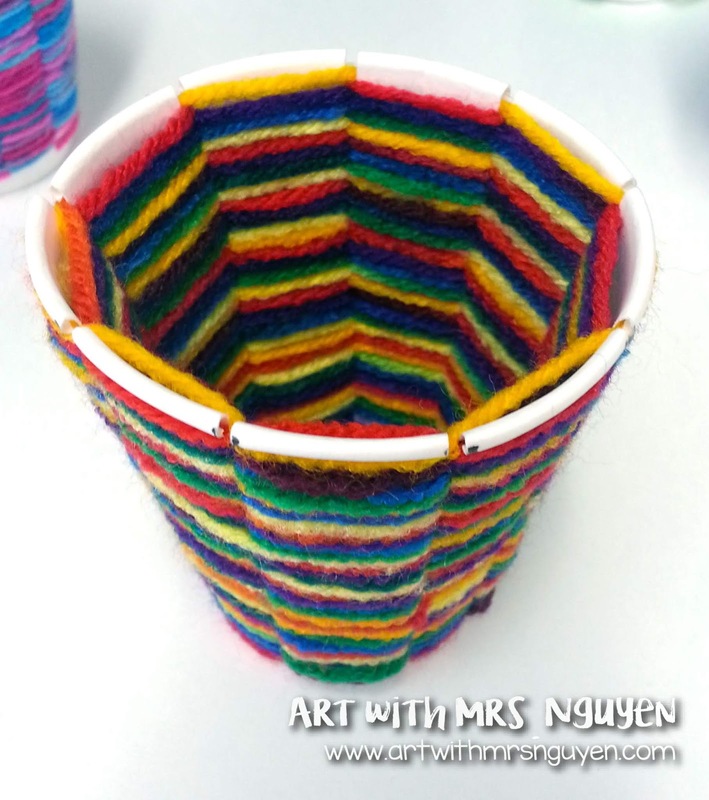 The origins of this art lesson came from a pin that I found on Pinterest connecting to the blog B Art Z - Elementary Art. 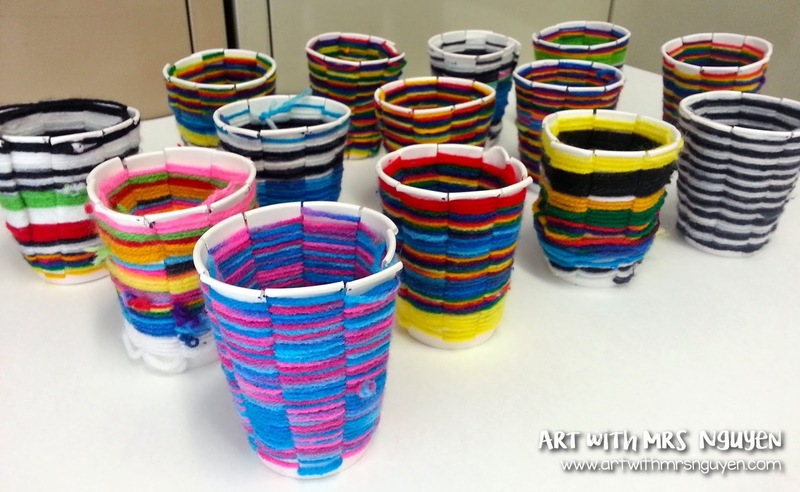 I have been SO excited to blog about my new and improved cup weaving lesson! 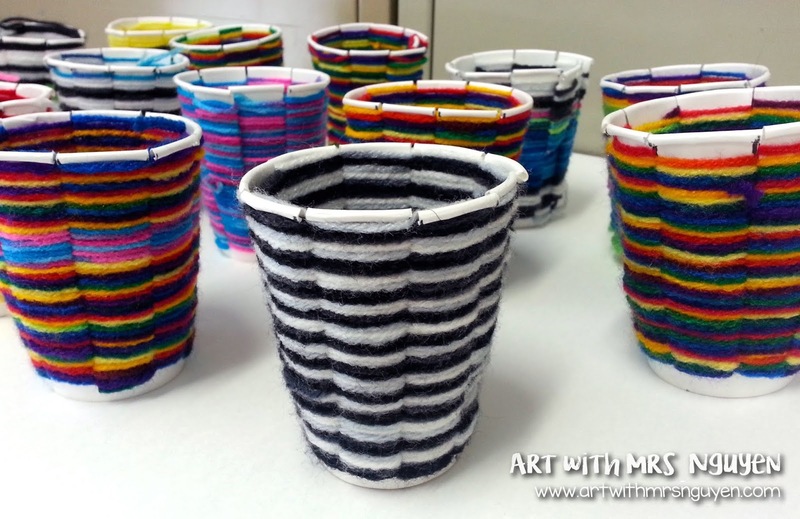 So last year I attempted to do cup weaving with my some of my students.. and while I loved the results.. the process was infuriating! For some reason I thought it was a great idea to weave with plastic cups - which made sharp jagged edges when cut by children. When that didn't go smoothly I thought myself sooooo clever to switch to styrofoam cups - which ended up making spokes (warp strips) that snapped off when pulled on to much. FINALLY I figured it out - PAPER CUPS!! These work PERFECTLY!! It is easy for the kids to cut the strips themselves AND they are surprisingly very durable. **Get them in bulk here! The first thing I had my kids do was write their name on the bottom of their cup with a sharpie. Then they placed their upside-down cup onto a template I created and made a tick mark on the rim of the cup everywhere where they saw a triangle poking out - this gave them evenly spaced points to cut from. When cutting out the spokes/warp strips, it is extremely important to remember to cut out an odd number of strips so that when you are weaving your AB pattern, the pattern alternates each consecutive time around. I found that with the 9oz cups my kids were using, 9 strips turned out to be the perfect number. 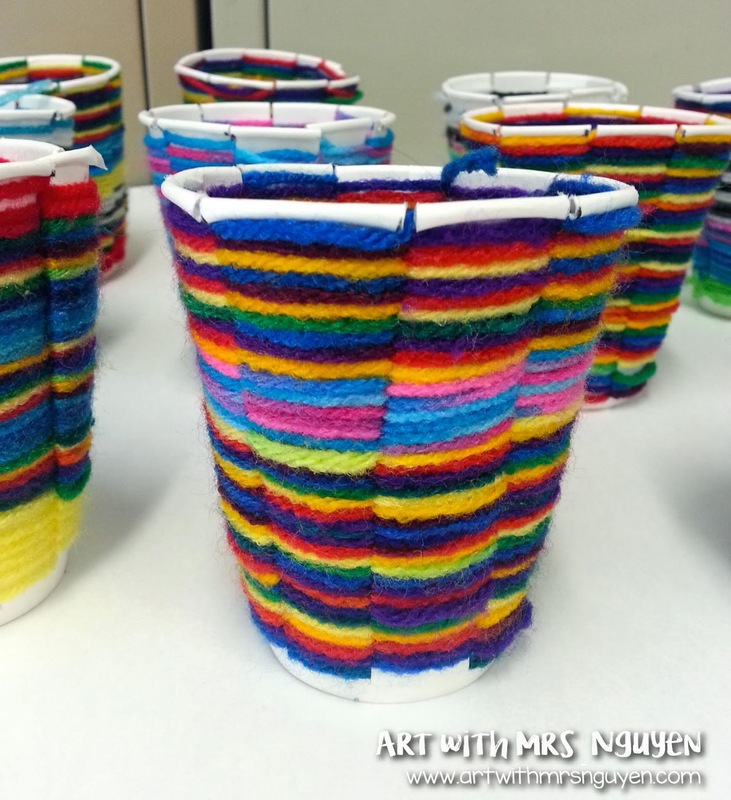 Once the strips were cut, students double-knotted a piece of yarn to one of the strips, then began weaving! Love these, igot to try this! 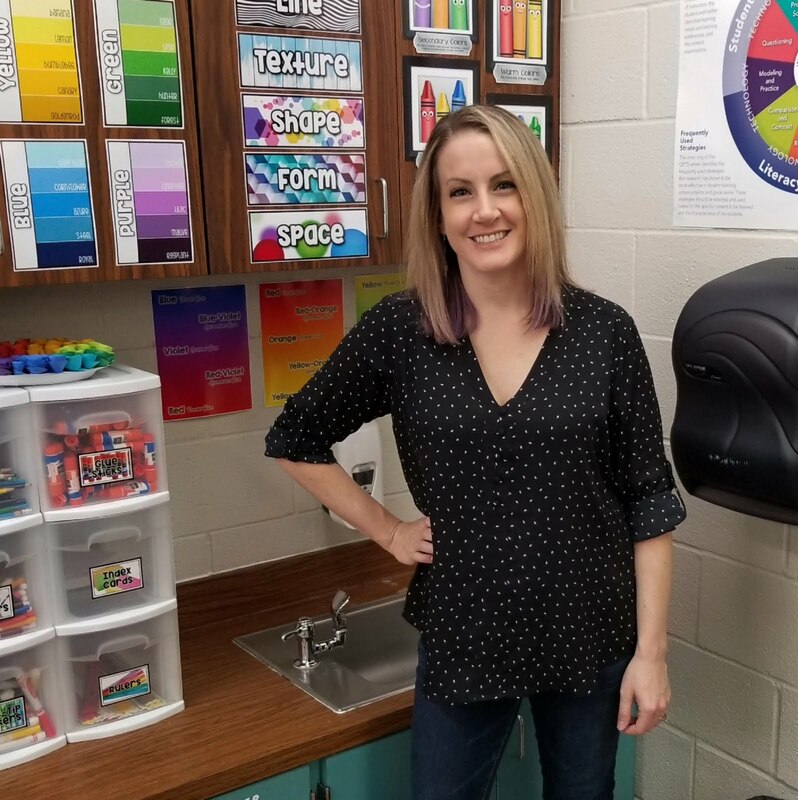 looking for something for my third graders to do. Can I have a copy of the template? There is already a link to the templates in the post. 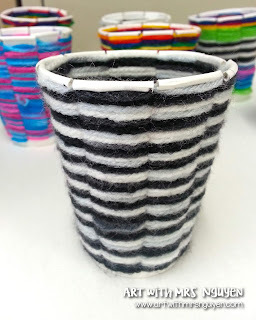 Do you suggest a certain brand or size yarn I should use for the cup weaving? 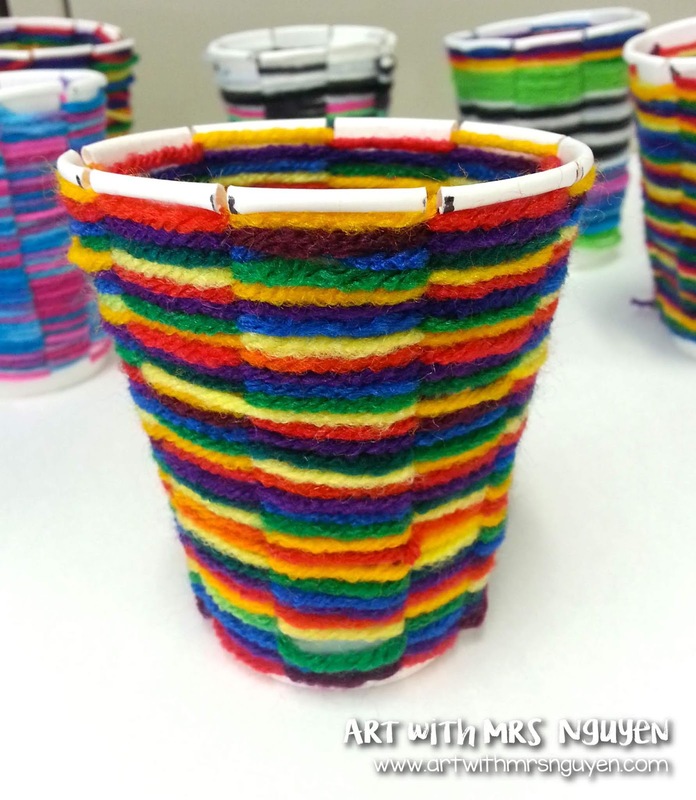 How long do most students take to finish one cup? In my experience 3 45-minute sessions from start to finish. How do you switch colors? And tie off at the end? To switch colors we tie the end of one string to the next one. 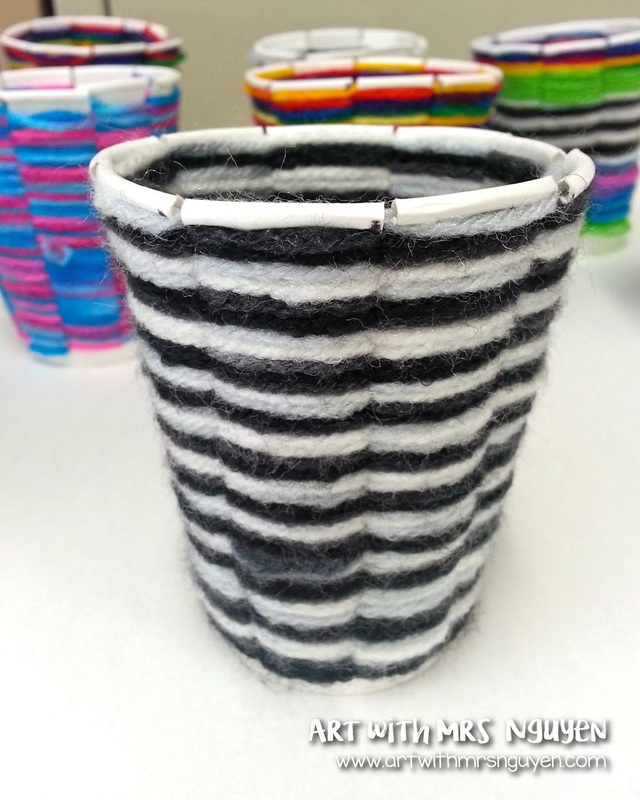 You can tuck in the knots if they end up on the outside of the cup. 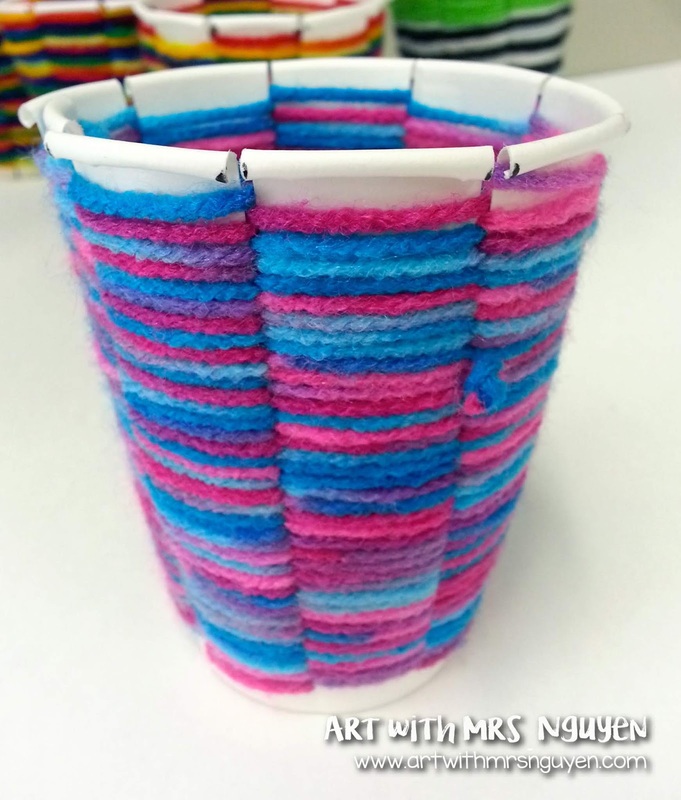 For the very last string just tuck what it remaining underneath the other strings on the cup. 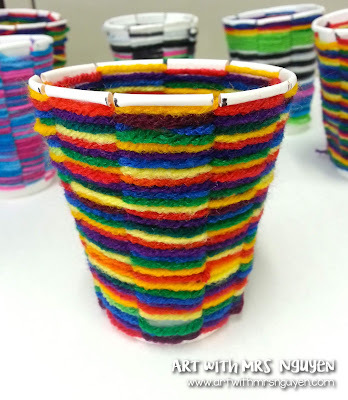 How much yarn would you need per student?